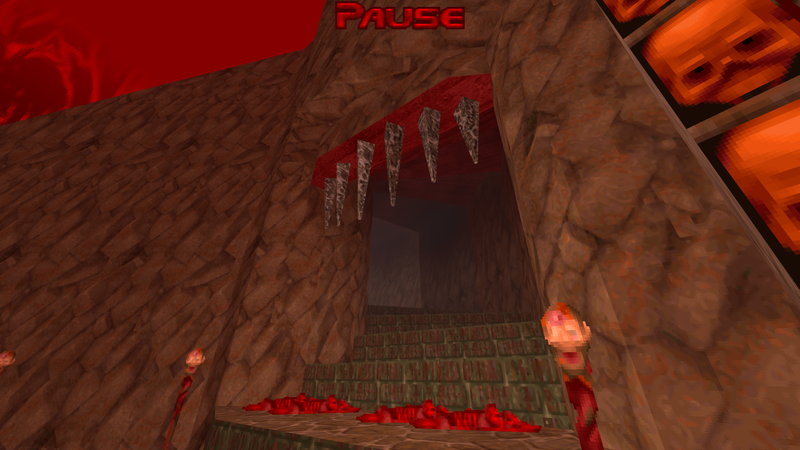 It's a fairly small level with an Earth invading Hell theme and has a few twists and turns. There's deathmatch starting points too for anyone who wants to give that a try. 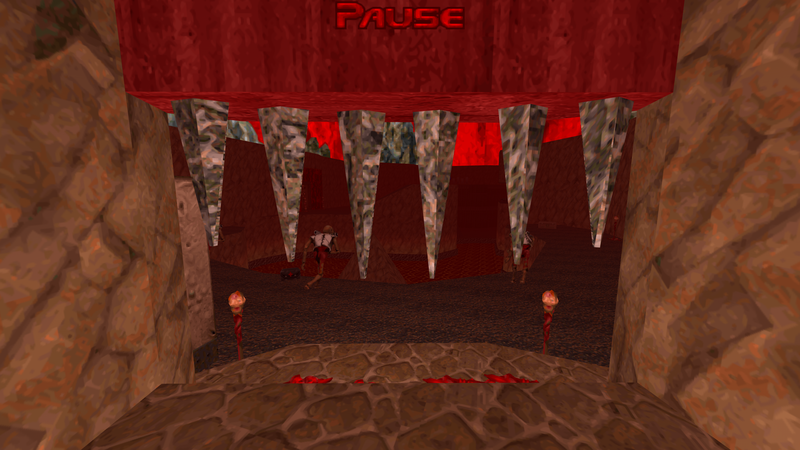 It runs in the OpenGL renderer of GZDoom with Doom II's iwad. Crouching and jumping are recommended. Biggest area of improvement would be visual concourse in the techbase areas -- there are plenty of vertical misalignments and rough texture transitions (album of notable examples). It also seemed weird that the rocky area immediately below the volcano was made of straight lines rather than typical natural contours. Maybe I am a noob, but I downloaded the zip file, and all I see is a .pk3 file. Where's the WAD? @FanTazTiCxD, It's a few levels deeper. In the .zip folder you can click the .pk3 and go a few levels in. But just extract the .pk3 without going into it further. GZDoom is super fancy. Just open the .pk3 like you would a .wad. Everything's in there. It took me quite a few tries, but I eventually finished your map. Very interesting effects you added there! I never knew how you could make slopes, or how you can lose life when shooting at a wall. But I guess there's a lot more possible with doom builder and scripting than I knew of! I also liked the boss battle, and how it seemed like kind of a puzzle you'd have to solve to figure out how to get past it! One thing that confuses me, is how are you supposed to get the red key without revealing the secret I found? Or maybe this is just one of those maps where you can't finish with 0% secrets? I love this kind of map. Short but unique, and with interesting mysteries and challenges, where you have to think logically and use your brain to know how to beat the map. More of this, please! I liked interesting map names. Just watched it though and loved it! I never considered the volcano a secret btw, it's too enticing to jump into that it just seemed like a natural path to me. That's one of three areas I have planned and it's already nearly doubled in size. Thanks FanTazTiCxD. I'll try to keep up the pace but can't say for sure how long it's gonna be. I wasn't expecting to have so many belated ideas for a small project meant as a therapeutic break- at first I was trying to avoid using any scripting but obviously caved in the end lol. The scripting is what made your map surprizing and interesting! Keep doing that. It's like magic. 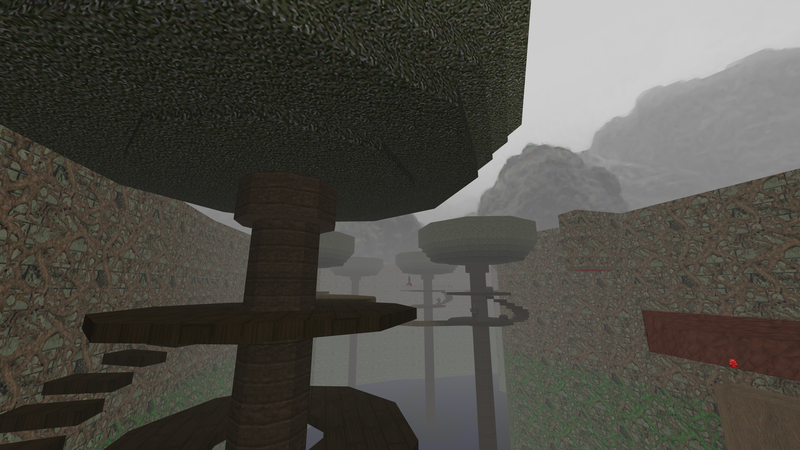 I think what I really liked about your map is the "dream" factor. I imagine you have dreamt of a vulcano once with monsters underneath it. Then you have dreamt of a demon face you shot at which created an earthquake. Then you dreamed of a cave with a chaingun you could only reach by jumping. Then you dreamt of a cellar with arachnotrons guarding a plasma gun. How would you get there? Who knows? Then you dreamt of a spider mastermind attacking a cyberdemon in a circle-like place with two platforms. And then you took all these weird and interesting scenarios and put them into one map. It doesn't suffer from boring repetitive areas, and it's not that big. Everything is unique in it's own way, even that rocket you were hiding in a changing-room like place you'd have to open to get it in the beginning. But once you have used one of your ideas, you don't repeat it again. It takes a very creative mind not to fall for those repetitive actions. It's just these like 5-7 ideas put into one map with a few interesting areas. That's what I loved about it. Keep doing more of that!